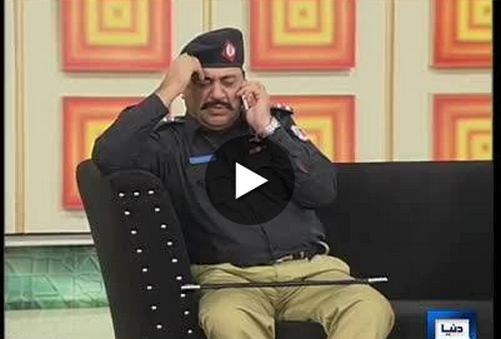 Watch Dunya TV Hasb-E-Haal Latest Episode 13th November 2014, Azizi as SHO, discussion on different news, Funny Videos & Pictures, discussion on police falling respect and interview of area SHO as Azizi. Hasb-e-Haal is the infotainment program broadcast by Dunya TV Pakistan which is widely watched in local and international community of Pakistani's. Watch Hasb-e-Hall with Najia Baig, Sohail Ahmed as Azizi and Junaid Saleem.